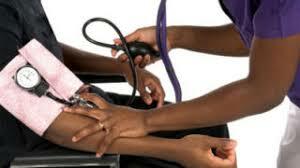 Expert says seven out of ten Nigerians are hypertensive – Royal Times of Nigeria. A retired Reproductive Medicine consultant at the University College Hospital, Ibadan, Professor Modupe Onadeko, has said seven out of every ten Nigerians are hypertensive. She added that fifty per cent of this seven are unaware of their condition and the remaining half are just not bothered to seek medical help to treat this condition. Onadeko said this during the commemoration of the World Hypertension Day 2017. She said hypertension is a risk factor for Stroke or Heart Attack. The consultant said hypertension is a condition in which the arterial blood pressure raises to high level from the normal level, which is one hundred and twenty per eighty Millimeters of mercury. While noting that Hypertension is a silent killer, as it does not show any clear symptoms, Onadeko listed symptoms in severe hypertension as headaches, blurred vision, fatigue, breathing difficulty and irregular heartbeat which may lead to coma among others. She advised that people should do regular blood pressure check and adhere to doctor’s instruction on healthy diets and physical exercise. May 17th of every year is set aside to increase public awareness about hypertension and the theme for this year is “Know Your Blood Pressure”.